South Texas First Time vegetable gardener here. This is the first time i had the location and time to take this on. If all goes well, i want to expand to four beds total, in a 12 x 20 fenced in area. Here is my newly installed 8x4 bed. Here is my planned grow layout. Last edited by Scottb42178 on Fri Feb 26, 2016 8:55 pm, edited 2 times in total. Hey Scott, that's a great picture. Look forward to seeing your updates. Are you planting this all at one time or ofr succession planting? From March - May plant warm season crops (temps 70-85 degrees) cukes, squash, corn beans, peppers, eggplant, tomatoes. Flowers and fruit in warm weather. 90+ degrees. Harvest and solarize. Very few plants like extreme heat. Some plants like garlic and onions have to be planted at the right time of the year and you need to get the variety suited for your climate. If you want to extend your season into summer. You will need to supplement with more water and provide some summer shading. Carrots will grow o.k. as long as the temperature stays 70 or less. Kale can take a light frost. If your average daytime temperature is 70 or less and you are at least 6 weeks before your last frost date, you can plant cool season vegetables. If howerver, temperatures are likely to be 85 or higher in the next couple of months, start warm season crops because they will mature in warmer weather. Cool season crops will be bitter and bolt early in hot weather unless you can create a microclimate with watering and shading. I've got the radish, carrots, onions, chard, and lettuce growing since Feb. 14th. I'm hoping it wont get too warm for them, but we have hit some low 80's already. I already lost my collards due to high winds, but have re-sown this past weekend. I wont transplant the peppers and tomatoes for a few weeks. I did get the chance to bring them out for some sun and fresh air this weekend. They have been growing indoors under lights since January. I am really worried about that mid-July heat coming in, as I've had problems with my container peppers dropping their flowers. Hopefully with a good watering regiment, and some luck, they will survive the summer. 8 x 4 is not very big when you're going to put in cucumbers. You definitely need something for them to climb on. I usually figure at least 2-3 ft. square per tomato and pepper plant. Radish and lettuce will be done in a month or so. Swiss chard will make it until June. Squash take up a good amount of space, too. Consider bush varieties of the cucumbers and squash. I've tried to stay as compact in the variety as possible, also i moved all my tomatoes from the raised bed to the dirt. I accidentally bought indeterminate variety and couldn't risk them taking over the bed. I will be making a trellis sometime this month for the cucumbers, just hoping they wont take over too much. The peppers i am going to cage up and hope that it keeps them under control. Yellow bell, California bell, Keystone, and Jupiter peppers have better disease and heat resistance. I grow an heirloom Chinese Giant but I grow it early, I planted mine in January and they are making peppers now. I don't expect them to produce well in the heat. Mine are in pots so I can move them around to different spots as it gets hotter to extend the season. Hot peppers don't really mind the heat that much. It is the same with tomatoes, in hotter areas you need to select for heat tolerance. HeatwaveI II, celebrity, Arkansas Traveller and most of the cherry tomatoes will fare better than large tomatoes when the temperatures top 90. You might consider adding a shade structure for the summer. it helps if it is overhead and the sides are left open to let the air through. Heat master, Sun Chaser and Florida 91 are supposed to do well even in temps over 90 with adequate water. I tried Solar Fire but it does not have the necessary disease resistance to survive here. Squash and gourds do well in the heat as well as jicama and the tropical greens. Harvested the radishes, not good size, but taste was good. Heatwave Lettuce. Probably needed to be thinned out, but going to leave it alone. Pinkeye Purple Hull Peas on Left, Blue Lake 47 Beans on Right. Pepper transplants going in this week. Cucumbers sowed. It looks like you are doing a square foot garden method...sort of, which is a good choice for a small garden. Your radishes were not that big because you did not pay attention to plant spacing. You either plant seeds or seedlings at the proper spacing or you thin. I actually do have some issues with square foot garden designs. 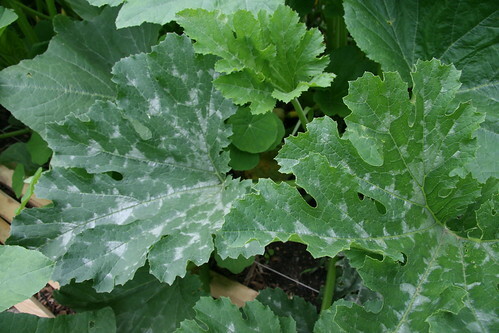 It works for intensive planting but it requires a lot of deliberate pruning and forethought especially on large plants like tomatoes, zucchini, cabbages, and eggplant that spread out. Those things I rather plant in pots or somewhere else and plant in the square foot garden only the plants that behave. I also thin the plantings more than the square foot plan which I think is the maximum you can do. Bush beans get a square foot and pole beans would be planted in a long narrow row along the trellis and not bunched up in a square. I also interplant to save space so I would not have a square of radishes and a square of peppers. I would put the peppers or tomatoes in a large pot and plant the radishes or lettuce in with the tomato seedling. They will be harvested before the tomato needs the space. Radishes need 2-4 inches apart in all directions and lettuce needs 8-10 inches. Beets 4 inches, green onions can be packed but I would not need an entire square of them so I could plant radishes or beets on the perimeter of the square. Square foot plans do not allow for planting more than one thing in a square or for underplanting at different stages of growth. I do try to pay attention to plant spacing but I interplant and underplant so every inch is filled up, the plants will act as a living mulch and help contain the ever present weeds. I am not 100 percent organic. To get plants this size, I have added nitrogen in two divided feedings. I use sulfate of ammonia. My soil test indicate I don't need anything else for years. The only other thing I keep adding is compost and I till in the plant residues when it is done. This is my garden on 3/5/16. I have garlic, round onions, broccoli, 1 brussels sprouts, kale (1) cucumber on trellis (7- multiple plants on two trellis). cherry tomato (sprawling volunteer), beets, cutting celery, rakkyo, komatsuna, tatsoi, won bok, I have kai choy growing as a weed but it is already too big to eat. this entire garden is 8ft x 16 ft. I am only using half since the other half is taken up by an aloe patch that needs thinning and weeds. My garden survived two violent spring storms, with minimal damage done. Lost a squash, a collard, and a tomato. Purple Eye Hull Peas on left, bush beans on right. Peas had a bad aphid infestation in back row that i pulled plants and replanted. I treated with water, dawn and rubbing alcohol mix. Cucumbers in back, peppers in front. Will try to run the cucumber up the fence as recommended in above post. Georgia Collard in front, Basil in back. Looking for my garden to really take off with weather improving. Scheduled to fertilize this weekend. Nice garden you have going there, thoose tatsoi posted earlier look amazing, its and awesome plant. Update for 04-13-16: Some rain, but some good sunny days last week. Plants are really taking off, some too much. The squash will overtake its two square feet, definitely a lesson learned on spacing. Green beans are producing lots of pods, will be harvesting before end of the month. Peppers producing some pods, cucumbers and melons have lots of flowers. Will see how the squash bounces back. 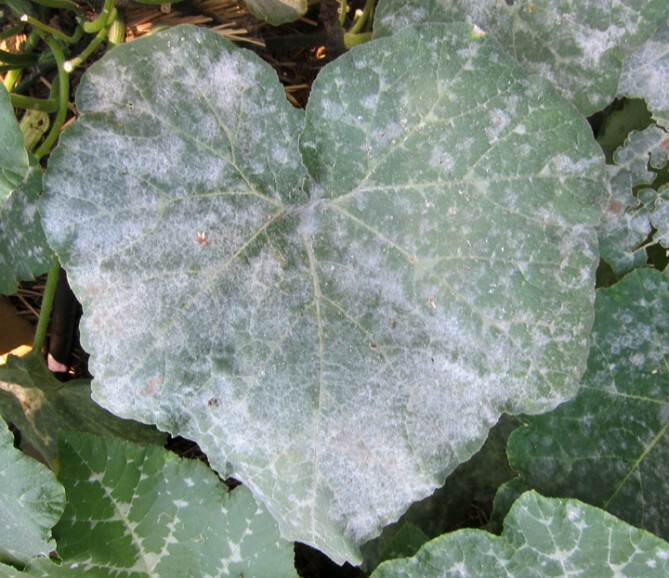 Due to some humid weather, had some powdery mildew on my squash, had to cutback foliage. Cucumbers heading up the fence. Georgia Collard and lemon basil. Well, that's a relief, and disturbing, as i cut back numerous large leaves. Hopefully it recovers! Guess i jumped the gun so it didn't spread to other plants as i have a crowded garden.